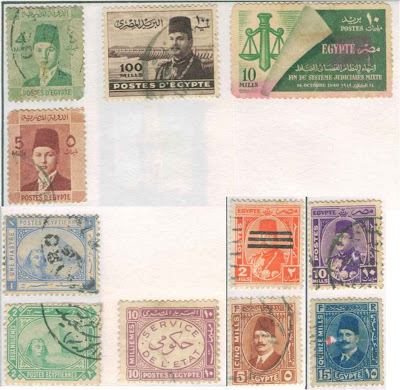 The first stamp was issued on 24 March on the eve of holding of First Asia Pacific Postal Union (APPU) executive council meeting in Islamabad, Pakistan. 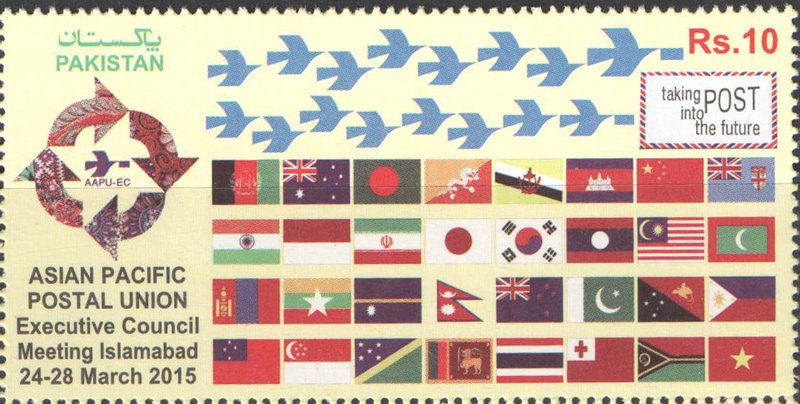 The Rupees Ten stamp shows the APPU emblem and flags of the member countries. The second stamp was issued on the establishment of first ever solar power plant of the country. The 100 MW plant has been established near the semi desert city of Bhawalpur in the Southern Punjab of the country. The stamp of Rupees eight face value shows the enormous array of solar panels. Pakistan and China are two best friendly countries of the world. Both countries have not only progressed in cementing their friendly ties over the years, but have also benefited from each other in all walks of life. The stamps above show Pakistan's Premier and one of its historic cultural heritage of Shalamar Garden of Lahore - read more about Shalamar Gardens at Pakistanpaedia. 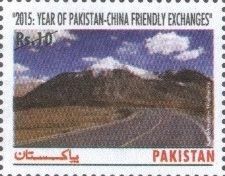 The set of five stamps was issued, as above, on 14 August 2015 - the independence day of Pakistan to show the importance of Pakistan-China friendship. Both countries are presently developing the Gwader Port on the mouth of the Persian Gulf and its road link to China under the CPEC (China-Pakistan economic Corridor).